How much will a glass of wine set you back in sunny Spain? Which native languages are you likely to hear on your Camino journey? 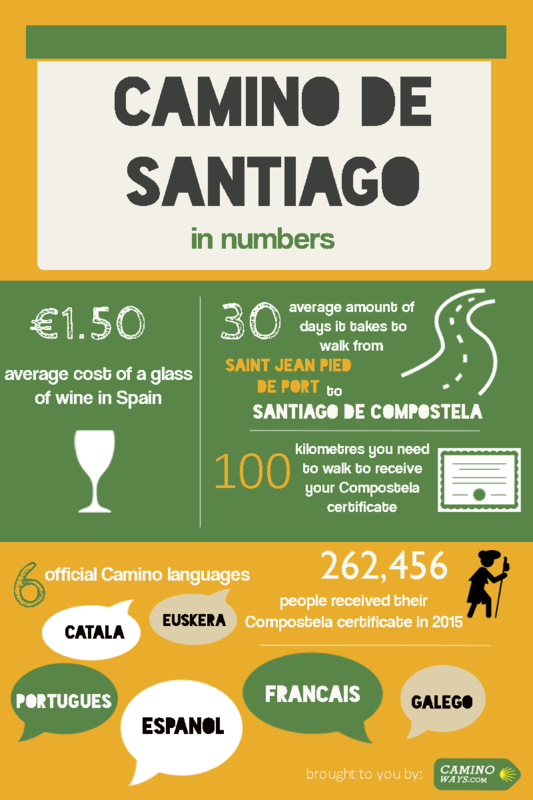 How many kilometres do you need to walk to receive your Compostela certificate? 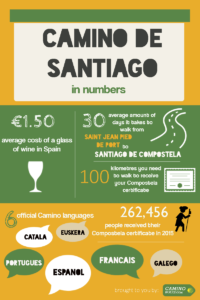 Find out the answer to all of this and more in our Camino de Santiago in numbers infographic. Do you you know an interesting fact or figure that you’d like to share with us. If so, let us know, we’d love to hear from you! For more information about the Camino de Santiago or to book your Camino trip, contact our travel specialists.